Welcome to Shankar Prasad Foundation! 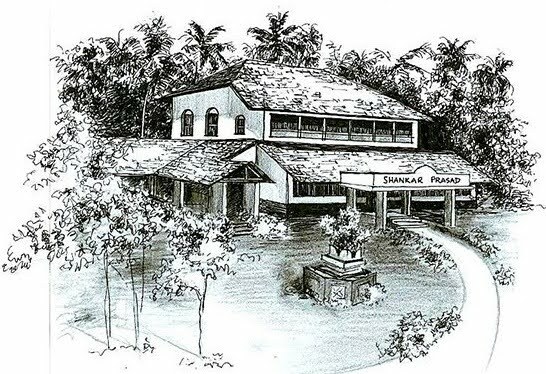 Shankar Prasad is a spiritual retreat centre located near Gokarna, Karnataka, India. We offer yoga and meditation classes, run an organic farm, house a children's play school, and serve the local community however we can. Yoga classes and meditation retreats are held by Swami Yogaratna Saraswati, an accomplished sannyasini trained at the Bihar School of Yoga (Satyananda) with over 30 years of experience. This traditional century-old heritage house is located in the village of Bankikodla, 5km from Gokarna, an ancient temple and Shiva pilgrimage town with beautiful beaches, forested hills and coastal farming. practice simple, sustainable, and eco-friendly living. To check our course calendar, click here. Swamiji Yogaratna's Yoga Nidra Recordings coming soon! 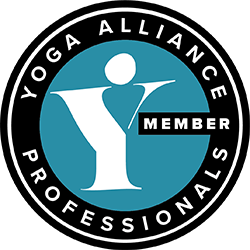 Our big news this year is a Yoga Nidra Teacher Training Course accredited by YOGA ALLIANCE UK in December 2018. Don't wait, register now, places limited to 14 students. Please forward to anyone or any site you think may be interested - thanks! 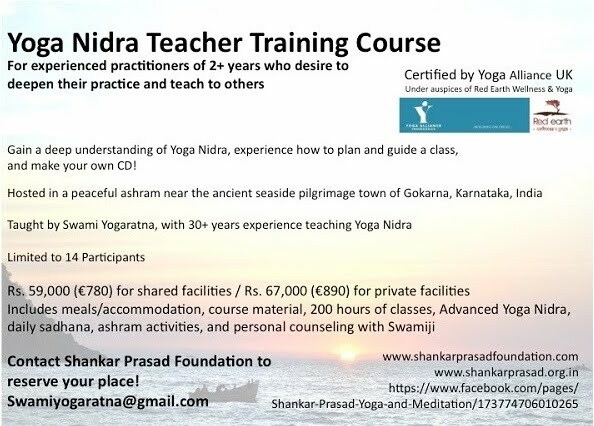 On-going and tailor-made classes packages and retreats available for all forms of yoga and meditation from the Satyananda Bihar School lineage. On our two-acre farm, we produce rice, peanuts, and various vegetables. We also have pineapple, papaya, coconut, mango, and starfruit, and many beds of different veggies that are cooked for lunch from morning harvest. At the Muddu Play School (English-Kannada dual-language program), we value creative free-play for children to explore the world and learn within their comfort zone.